﻿ Don’t feel the burn! Eliminating hot oil burns is achievable with good technique and modern fryer filtration equipment. When managed poorly, hot oil used to cook food can be hazardous. Accident reports posted on OSHA's website describe a restaurant employee suffering significant burns after tripping into a bucket of hot oil left in a walkway, and another who slipped on spilled oil and plunged his hands and arms into hot oil while trying to break his fall. Frying oil needn’t even be hot to inflict injury. OSHA reports that many restaurant workers' compensation incidents occur when employees strain their backs while carrying heavy loads of oil. 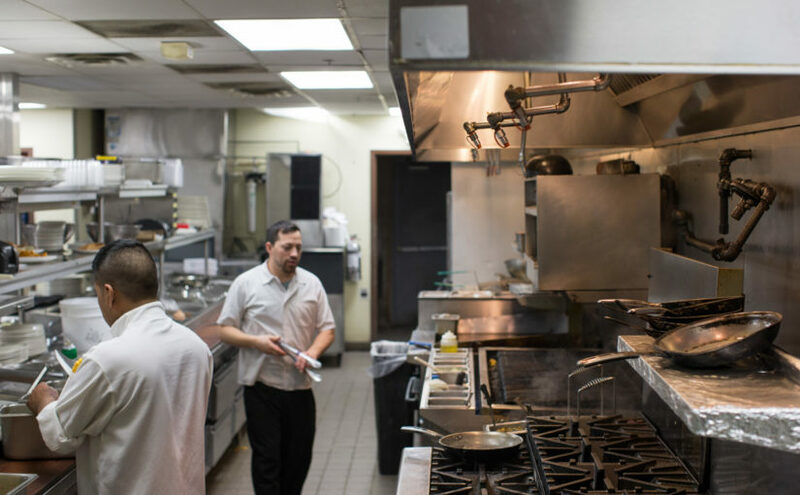 Such injuries are uncommonly severe, but restaurant workers still suffer numerous small hot oil burns daily when, according to experts, it shouldn’t happen if proper handling technique is taught, practiced and enforced. That’s essential to do with budding chefs, says Katie Payne, a chef instructor at Sullivan University National Center for Hospitality Studies in Louisville, Kentucky. A fryer full of hot oil can intimidate new recruits unsure of how to add food safely to the fryer. She says it can be especially unsettling when following good technique requires getting one’s hands close to the hot oil. Never change or filter hot oil; change only after it’s cooled. Never deep clean a fryer manually without letting it cool overnight. When not using fryers, turn off the heat to extend oil life. During slow periods, lower fryer temperatures. Keep fryers covered during downtimes. Direct contact with makeup air or foreign objects reduces oil life. Never perform tasks above heated oil, such as hood vent cleaning. Consider using a closed-loop empty-and-refill system. Clean oil is so important at Bob’s Clam Hut in Kittery, Maine, that all seafood is twice-fried: first in a fryer well containing the oldest oil, and second in a well of fresh oil. The first fry, which lasts about 30 to 60 seconds, sets the crust on the seafood being cooked, says owner Michael Landgarten The second fry, lasting until the product is cooked, yields a super-clean appearance and non-greasy texture. Using a fryer basket or vegetable basket, shake off all excess breading before adding food to oil. Lower battered food into the fryer slowly and stir gently to set the batter. Skim the surface of the oil constantly to remove excess fried bits. Old oil will add a brown tinge to fried foods; that’s usually a sign that it needs to be changed. Lou Meyer, vice president of operations for The Briad Group, a large Wendy’s franchisee, employs a closed loop fryer maintenance system which pumps used oil out to one tank, and new oil back into the fryers from a fresh tank. Both tanks are filled and emptied by professionals who never enter the restaurant.